Q: Our Dog was recently sprayed by a skunk. We have cleaned carpets, had dog groomed, washed clothing, but odor remains in the house. Will your product eliminate this odor and how is it installed in HVAC? 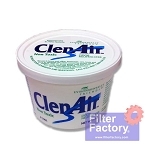 A: It can help but I do not know what it can do for that type of odor. 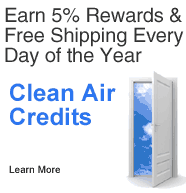 22 Clean Air Credits will be rewarded to you when you buy this item.